Arizona Shooting: Will the Gun Lobby Win Again? After tragedies like Tucson, the NRA has moved to block new gun laws—laws that Peter Stone, of the Center for Public Integrity, says would have saved lives by blocking the sale of high-capacity magazines used by the gunman. After tragedies like Tucson, the NRA has moved to block new gun laws—laws that Peter Stone, of the Center for Public Integrity, says would have saved lives by blocking the sale of high-capacity magazines used by the gunman. Plus, Harold Evans on how Congress makes it easy for anyone to kill. The killing spree by an Arizona man wielding a semiautomatic pistol with a high-capacity magazine raises the prospect of a fresh debate on whether the country needs tougher gun controls. But if history is any guide, the National Rifle Association will successfully fight stronger gun controls. The NRA’s influence stems from the grassroots clout of its four million members and the tens of millions it has spent over the last two decades on campaign contributions and lobbying. For instance, Congress passed an assault weapons ban in 1994 over the NRA’s strong objections, but the powerful pro-gun lobby managed to thwart its renewal in 2004. Significantly, the 1994 ban had a provision barring the manufacture or sale of new high-capacity magazines—like the one used in the Arizona rampage—which enable a gun to fire a fusillade of shots very quickly without pausing to reload. The high-capacity magazine provision refers to guns that hold over 10 rounds. Jared Lee Loughner, the 22-year-old accused in the shootings, used a Glock 19 pistol that he bought for $500 and two high capacity 33-round magazines. In a matter of seconds, he killed six people and wounded 14, including Rep. Gabrielle Giffords, who is fighting for her life. The NRA’s success in blocking the renewal of the assault weapons ban was notable because then-President George W. Bush supported it. The Senate voted to extend the ban but the House never voted on the measure. The NRA’s influence in Washington and many states is legendary. In recent elections, the gun rights lobby has spent tens of millions to back members, both Republicans and moderate Democrats who side with its anti-gun control agenda, through a mix of PAC contributions, independent expenditures and other campaign tools, a Center for Public Integrity review shows. In the 2009-2010 election cycle, the National Rifle Association of America Political Victory Fund, the NRA’s major campaign spending vehicle, spent $12.2 million, with almost $1.4 million in direct contributions to candidates, according to CQ MoneyLine. Over the last two decades, the NRA has directly donated more than $18 million to members of Congress, with GOP members raking in about 82 percent of that total, according to the Center for Responsive Politics. For the first nine months of last year, the NRA spent just over $2 million on lobbying, the Center said. In the wake of the Arizona bloodbath, Rep. Carolyn McCarthy, (D-NY), and Sen. Frank Lautenberg, (D-NJ), began working on legislation that would renew and strengthen the provision in the expired ban that bars the manufacturing and sale of high-capacity magazines. McCarthy’s husband was killed and her son wounded in a 1993 gunman’s attack on commuter train passengers in New York. Gun control advocates point out that the NRA’s ability to influence lawmakers could make it very tough to pass the measure. “Historically the NRA has stymied any effort to pass new gun control legislation in the wake of the most horrible shootings,” said Kristen Rand, the legislative director at the Violence Policy Center. Rand said that typically after high-profile shooting rampages, the NRA tries to delay action on legislative proposals. The NRA often argues that tragedies like the Tucson shootings shouldn’t be exploited for political ends and stresses that “it’s time to mourn, not to pass legislation to prevent future tragedies,” Rand said. Further, it’s unclear what the Obama administration would do to help. During his 2008 campaign, President Obama backed renewing the broader assault weapons ban. But since taking office, Obama hasn’t prodded Congress to take action. Over the years, public opinion has gradually moved away from stricter gun laws. According to Gallup, 78 percent of Americans said gun laws should be stricter in 1990; by last November, it had fallen to 44 percent. Tying gun control regulations to crime rates is difficult at best. The Brady Campaign to Prevent Gun Violence regularly scores states on more than a dozen regulations, including guns in public places, background checks, and firearm trafficking. For 2009, only Utah ranked lower than Arizona in the Brady scores. In its Uniform Crime Report, the FBI tracks murders committed with firearms. For 2009, the data showed Arizona with three firearm-related murders per 100,000 people. That’s very close to the national rate of 3.1 per 100,000 and ranks Arizona 23rd among the states. 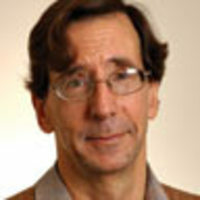 Peter H. Stone leads the money and politics team at the Center for Public Integrity, a nonpartisan investigative journalism group in Washington. Stone is the author of the recently released paperback Casino Jack and the United States of Money.